Some of the biggest corporate sponsors of soccer are seriously worried about the corruption scandal now engulfing FIFA. In a strongly worded statement late Wednesday, Visa called on the world's premier soccer organization to "take swift and immediate steps" to clean up its act. "[I]t is important that FIFA makes changes now," Visa (V) said. "Should FIFA fail to do so, we have informed them that we will reassess our sponsorship." Earlier, another major sponsor, Coca-Cola (KO), said the "controversy has tarnished the mission and ideals of the FIFA World Cup." The company said it has "repeatedly expressed our concerns about these serious allegations." The U.S. Department of Justice on Wednesday indicted 14 people, including senior soccer executives, in a sweeping corruption probe spanning the globe. American officials said their investigation is continuing and Switzerland is conducting its own probe. Hyundai Motor (HYMTF) said Thursday it was "extremely concerned about the legal proceedings" and was monitoring the situation closely. But Russia's state-controlled gas company Gazprom rejected any suggestion that the scandal would affect its ties with FIFA. "Of course Gazprom's sponsorship agreement is not affected by the situation around FIFA," a Gazprom spokesperson told CNN. "How can this situation affect it? It simply can't. It's unrelated." Russia is due to host the 2018 World Cup -- a FIFA decision Swiss prosecutors are now investigating -- and President Vladimir Putin suggested the U.S. had ulterior motives for launching its legal action. U.S. Attorney General Loretta Lynch also implicated at least one American company in the corruption allegations. Without going into any detail, she said the investigation included the "sponsorship of the Brazilian national soccer team by a major U.S. sportswear company," the 2011 FIFA presidential election and the site of the 2010 World Cup. McDonald's (MCD) said that it "takes matters of ethics and corruption very seriously" and that it is in contact with FIFA and is monitoring the situation closely. Adidas (ADDDF) called on FIFA to raise its standards. "The Adidas Group is fully committed to creating a culture that promotes the highest standards of ethics and compliance, and we expect the same from our partners," the company said. Adidas said that it will "encourage FIFA to continue to establish and follow transparent compliance standards in everything they do." Budweiser's parent company, Anheuser-Busch (AHBIF), said, "We expect all of our partners to maintain strong ethical standards and operate with transparency. We continue to closely monitor the situation through our ongoing communications with FIFA." 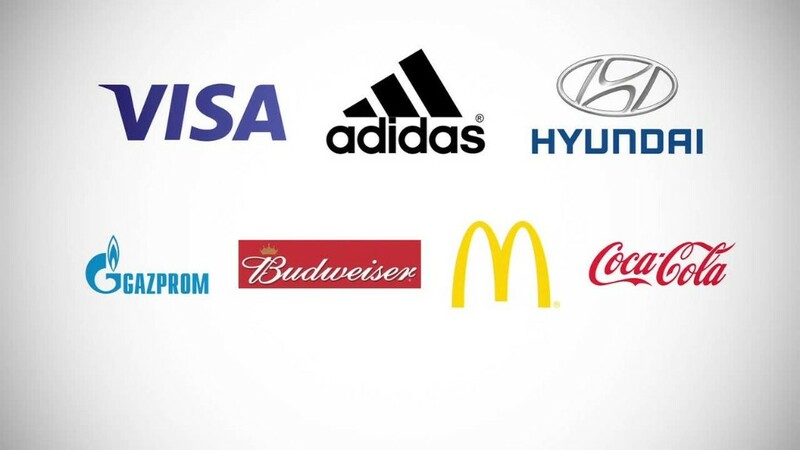 Adidas and Visa paid an average of $32 million a year for their partnership deals with FIFA, while Coca-Cola, McDonald's and Budweiser forked over an average of $19 million each, according to estimates by IEG, a consulting and research firm. All told, FIFA will pocket a total of about $1.6 billion from its major sponsors over a four-year period between 2011 and 2014, IEG calculated.